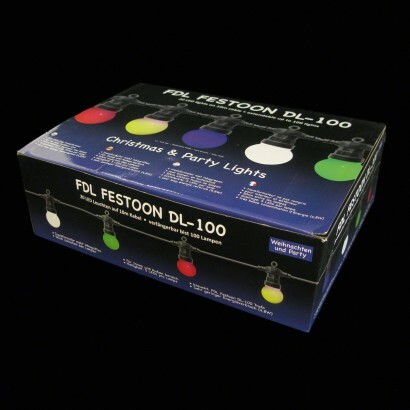 Create a fun party atmosphere in your garden using this festoon lighting kit, connecting up to one hundred festoon lights from just one transformer. 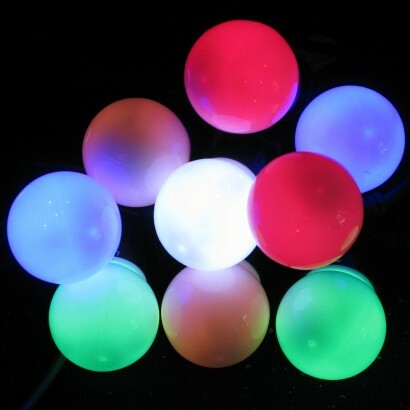 Strings of glowing bulbs suspended around the room or garden are perfect for creating an instant carnival atmosphere. 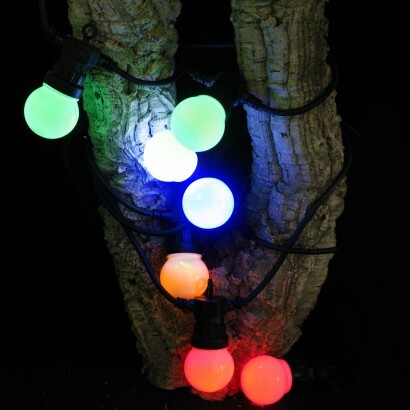 Ideal for weddings, events and parties, or simply to add a little charm to the garden or home at any time of the year, these multi coloured festoon lights come in 5m lengths of 10 bulbs or 20 perspex bulb caps hung along a 10 metre length of black cable. Lightweight and high quality, the festoon lights are suitable for indoor and outdoor use, and enable you to connect up to 100 bulbs from one transformer (transformer sold separately). These lights are such good quality. I've had some cheaper lights in my garden but they just didn't last. 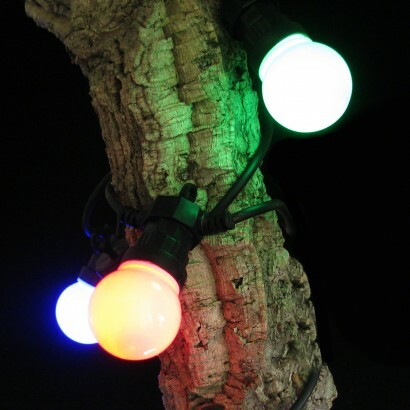 The festoon lights are well made, bright, and you can see by the wiring they are top quality. It's definitely worth paying a little more. Thanks. Ordered 5 sets plus transformer, they arrived within 24 hours. We have used the entire set, 100 bulbs, on a large fir tree in our front garden and it looks fabullous. Only critisism is that the plastic globes are not very secure, some would not tighten and had to be secured with insulation tape. There were 3 globes missing when they arrived but they were quickly replaced when we phoned. These lights are a total success. they are bright, robust and because I can join them together, they will be able to stretch around the garden. I will be buying a couple more lengths and then my garden will be as lovely at night as it is during the day.